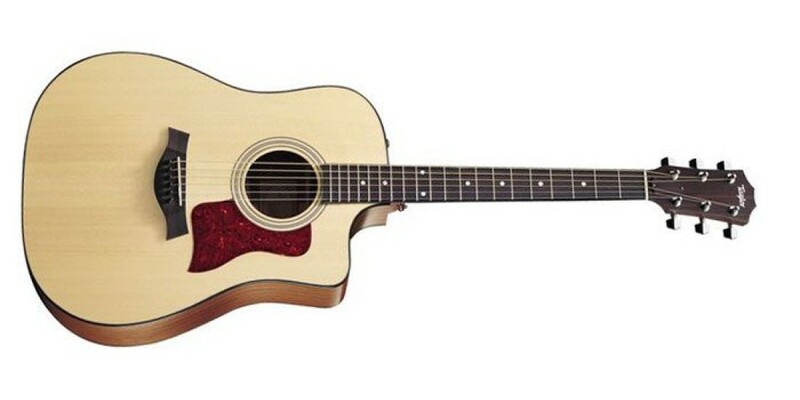 The Taylor 110CE Dreadnaught Cutaway Acoustic Electric Guitar is an affordable way to get yourself playing a true Taylor guitar! 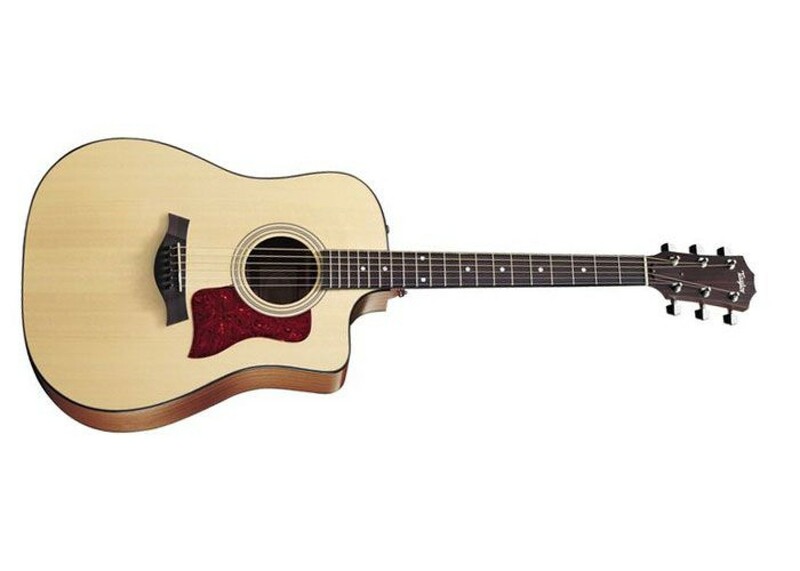 This inexpensive acoustic electric is made with the same quality materials and care that every Taylor boasts. A solid sitka spruce top, laminate back & sides, venetian cutaway, and perloid dots, this guitar has it all: beauty, comfort, playability, and of course...signature Taylor tone!